Spotless reputation key to carpet cleaner. SAN LEANDRO You can call him a creature of habit, a Steady Eddie, or slightly mundane. It doesn’t matter. Joe Appleby, owner of 30-year-old Appleby Cleaning and Restoration, is convinced the calm and redundant way he runs his business is why it’s still around. Toward the end of 2008, when the economy soured, Appleby saw a decline in business and was forced to lay off employees for the first time. But he knows it could have been worse if he had built the business carelessly. And where that consistency starts is in the image of his business. Because being a carpet cleaner doesn’t require a license, there’s plenty of options for customers. There’s also a vast range in quality. By presenting a polished look, Appleby sees it as a great chance to differentiate himself from the crowd. The carpet cleaning business has been in Appleby’s blood from the time he was born. His father, Seymour, started a rug carpet plant in 1955 that originally resided in Russell City, now Hayward, before it was lost to fire. 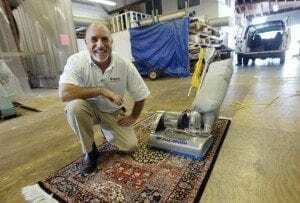 Subsequently, Seymour started an on-location carpet cleaning business, but in late 1970s, he wanted a career change and began pursuing a law degree. “I was a teenager just getting out of school and didn’t have anything to do, so I would clean carpets for my dad while he read his law books,” Appleby said. The only one from his family without a college degree, Appleby saw taking over his dad’s business to be the best opportunity to have future success. 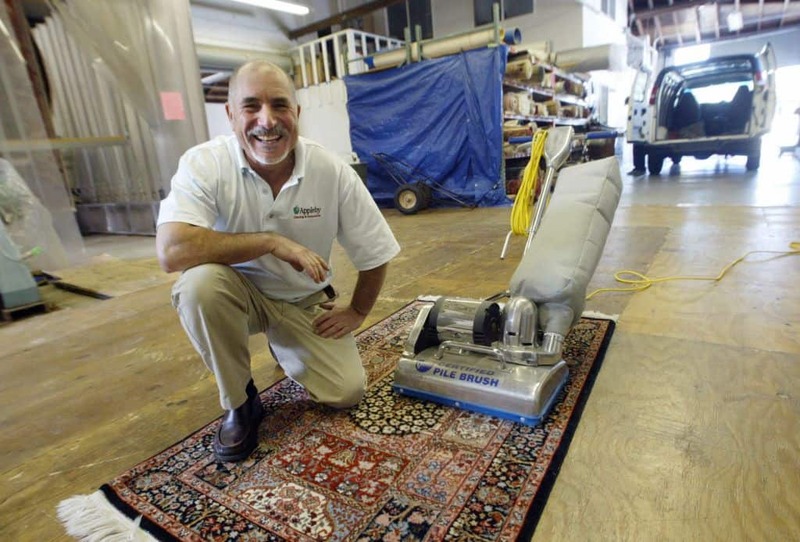 In 1980, with a $5,200 loan from the community bank, he took over, and bought his own carpet cleaning machine. Now Appleby brings in more than $2.5 million in revenues, has a fleet of 12 trucks, and an elaborate rug restoration plant at the company headquarters. They do about 60 on-location cleaning jobs a week. Prices vary, but a carpet cleaning package is between 38 cents and 48 cents per square foot, and hard surface can range between $1 and $4 a square foot. Two years ago, the company added air duct cleaning surface that costs $475 for one furnace and 10 vents. The soft surface accounts for about 55 percent of the company’s total revenue. And the majority of the hard surface jobs involve stone and granite. His business partners, Mark Belotz, who runs the hard-surface division, and Les Bloch, project manager, are both childhood friends. In 1985, when the company was headquartered in Oakland, it handled many water, fire and smoke restoration jobs. The business moved to San Leandro in 1990 and the current location on Timothy Drive in 2004. 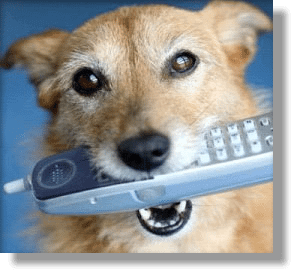 In the last 8 years, the company has phased out its emergency restoration service, but the loyalty with the customers still remain. Appleby relies on businesses that can refer them customers. On his way to or from work, if Appleby happens to drive by a carpet or flooring company, he often drops by to make sure he stays connected with them. Jerry Hettinger, owner of J. Hettinger Interiors in Danville, has been referring customers to Appleby for years. He says Appleby has good business savvy and runs his operation well. Appleby’s company now has a customer database of about 20,000 customers, and about 85 percent of them are repeat clients, he said. “It takes awhile to build the trust, but once you build that comfort with a customer you have them forever,” he said. Because trust by his customers is critical, when Appleby hires his employees, their personality traits are far more important than their work experience.